In an ideal democracy, representatives would entirely reflect citizens’ views, preferences and wishes in their legislative work. However, real-life democracies do not meet this ideal and citizens’ policy preferences and priorities are mirrored only inadequately. what roles should representatives play? Who is actually or should be represented? 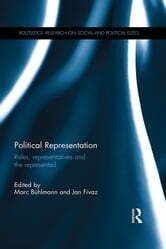 How are the representatives (or how should they be) connected with the represented? Containing contributions from the perspectives of political theory and philosophy, as well as quantitative empirical studies, the volume demonstrates the need to adapt these established questions to new political realities. This text will be of key interest to scholars and students of political representation and parties, political theory, democratic theory, political philosophy and comparative politics. The Risk of Social Policy?